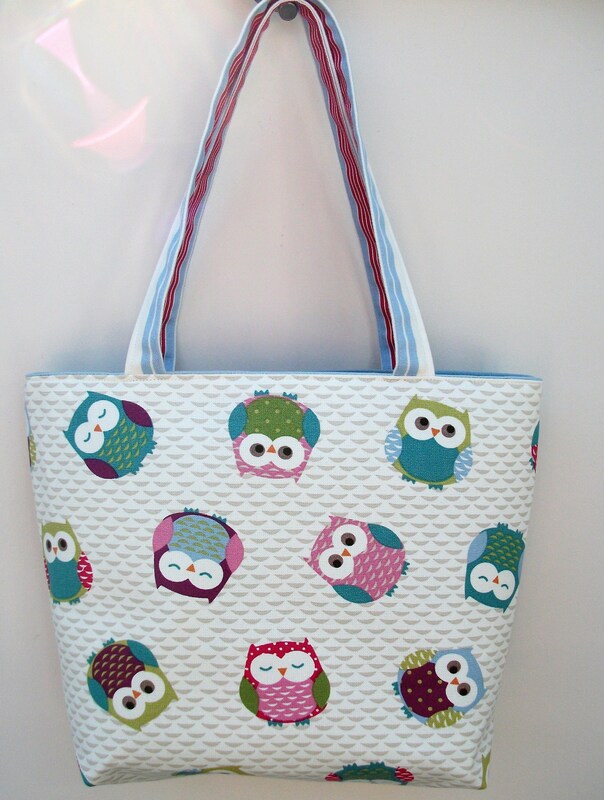 This is a gorgeous small tote bag made from owl themed cotton fabric. 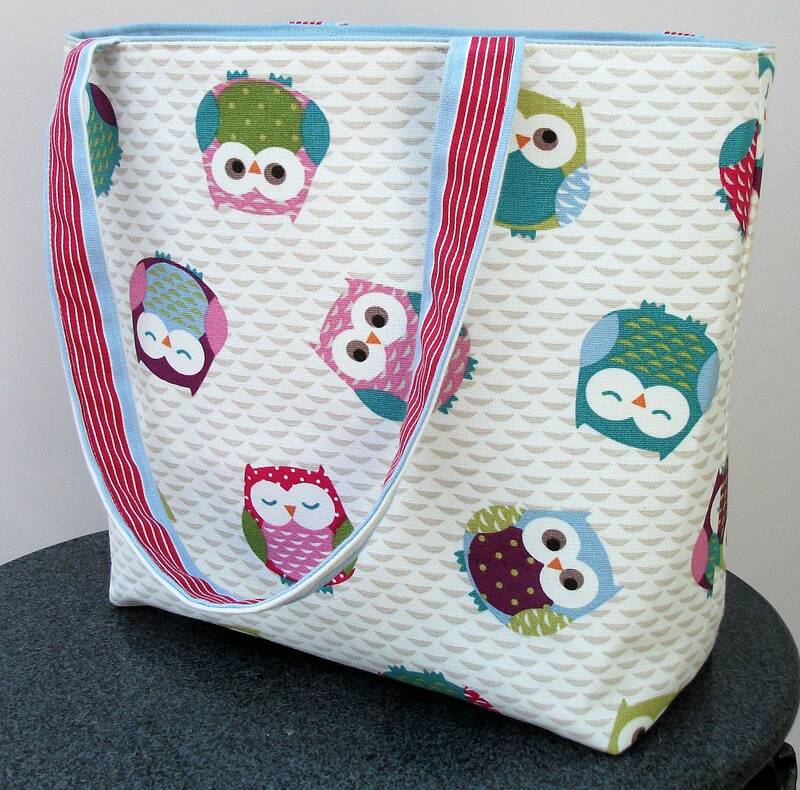 The colourful and cheerful fabric has a cream background with multi-coloured owls dotted over it. 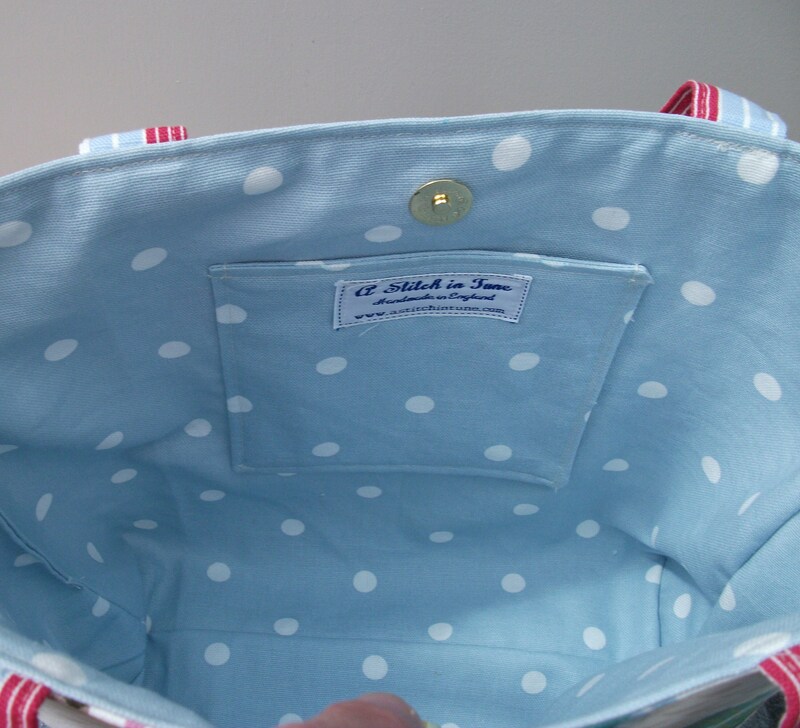 There is a complementary lining fabric of blue spotty cotton material with a small pocket inside, made of the same lining fabric, for holding keys, a small change purse, a mobile phone or your chocolate stash! 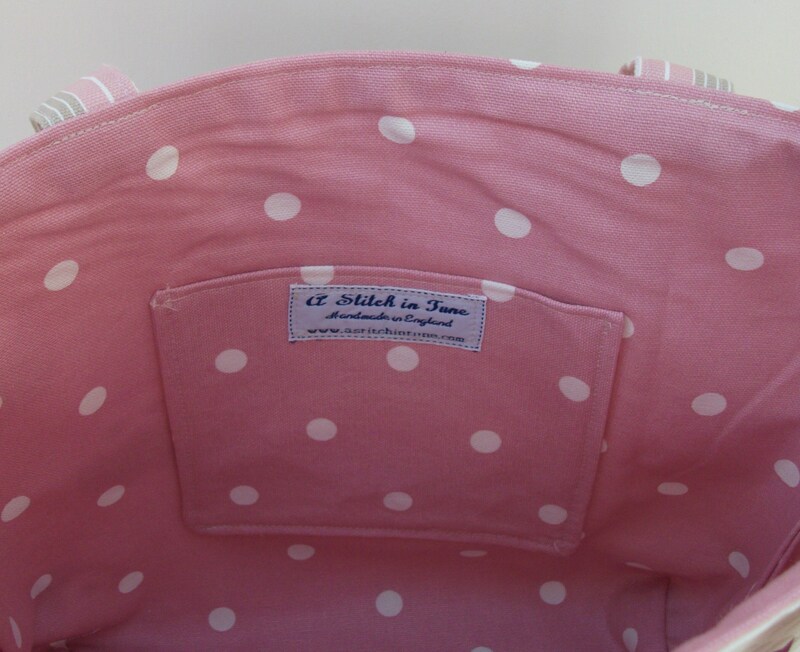 The bag can also be made with a pink spotty lining or a berry coloured lining - please choose option at checkout. 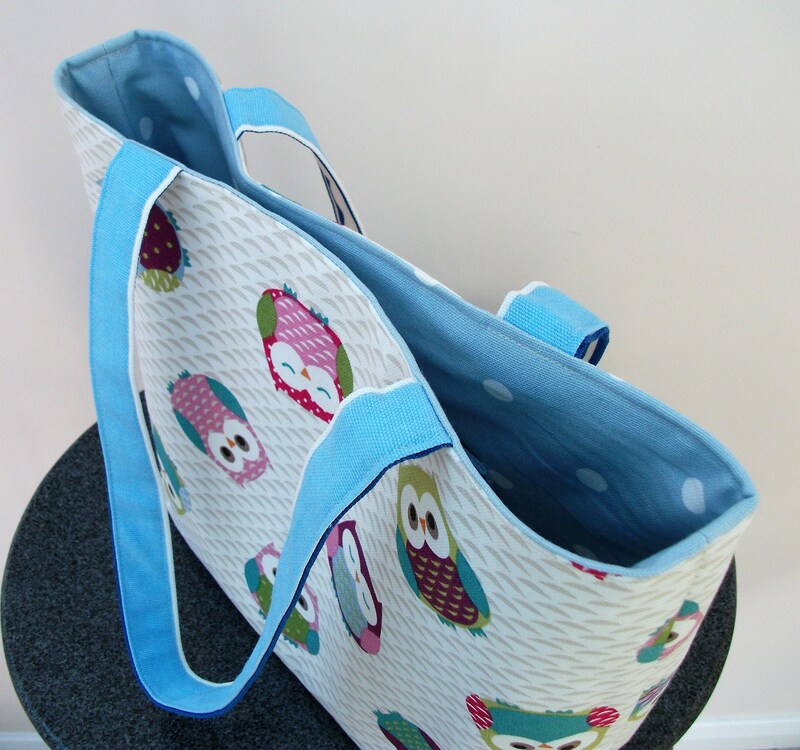 There is a heavyweight interfacing to give the bag strength and body so that it will stand freely and not flop over! 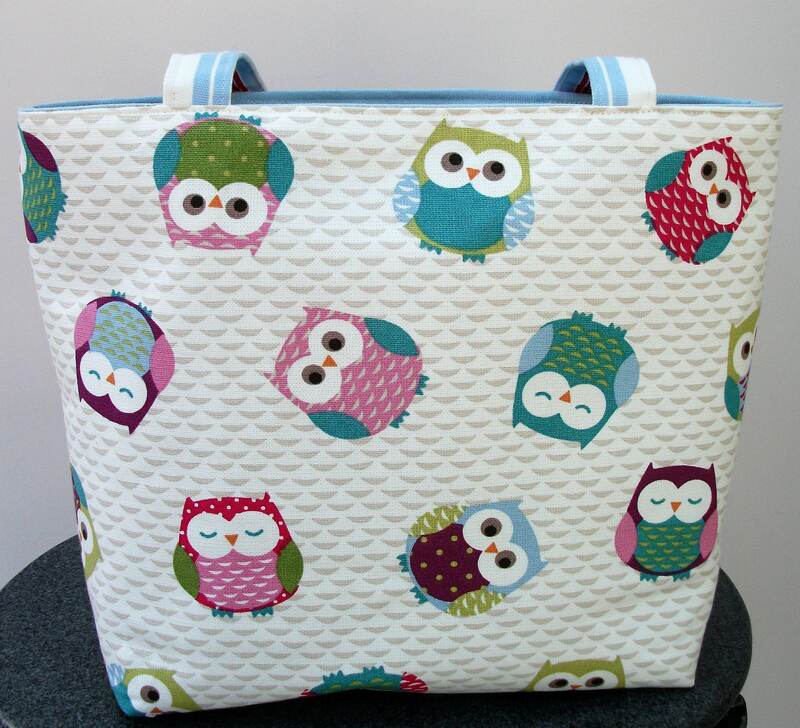 The straps are made of quadruple thickness of striped cotton fabric which picks out the blue of the lining fabric and a stripe of red to reflect the touch of red on some of the owls. 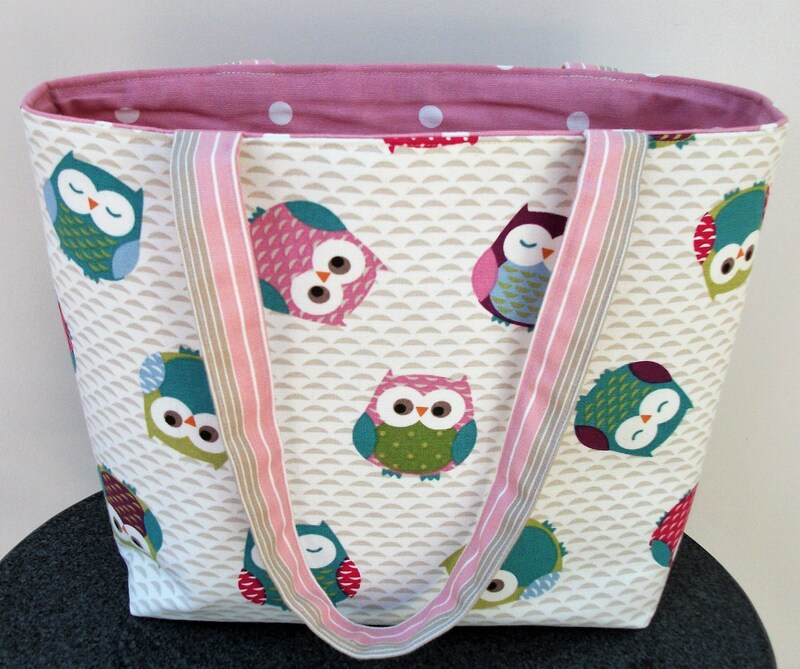 They are long enough for the bag to be carried as a shoulder bag or short enough for carrying over your arm. The bag is the perfect size to use as a book bag, a small shopping bag, or as an everyday bag for the office for carrying those essential items that you need in a busy life. 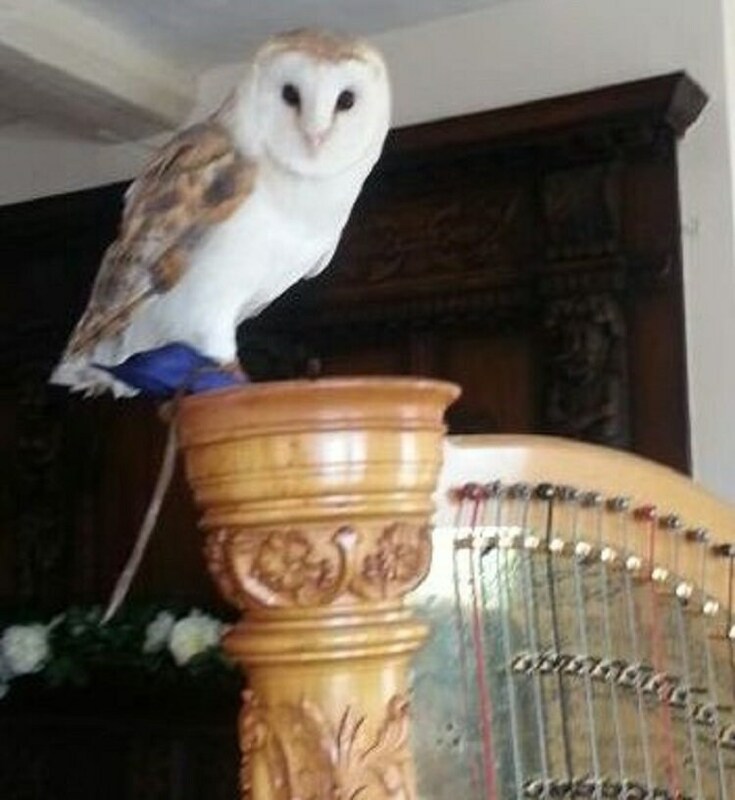 It would make the perfect gift for any book lover or owl lover- in fact, Hedwig from Harry Potter or the Wise Owl from "Winnie the Pooh" all come to mind ! 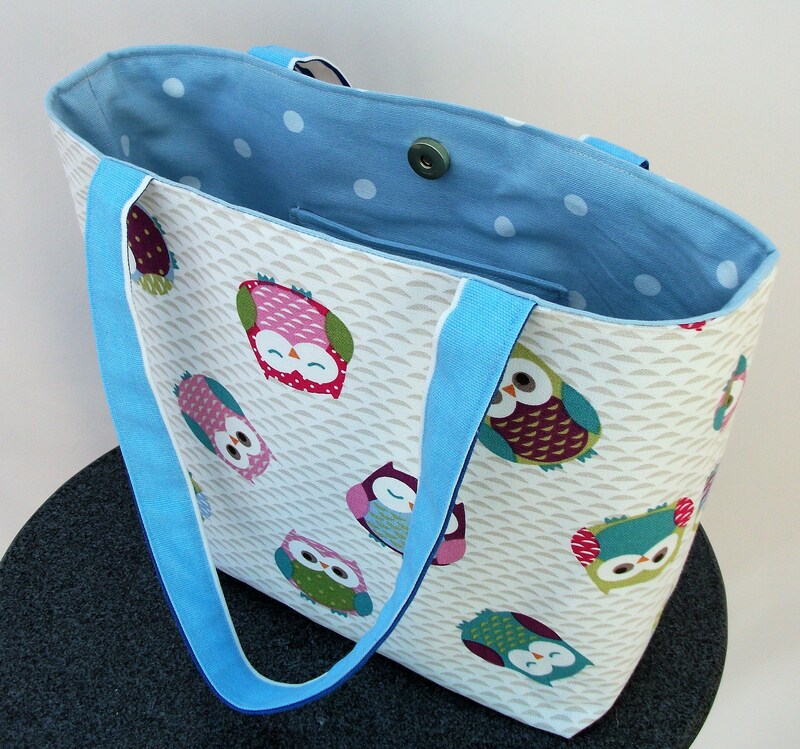 It can also be made with the addition of a magnetic clasp to hold the bag shut and stop items falling out. Option available at checkout.